A while ago, I attended a lovely Russian tea party in The Hills hosted by Galina Sobolev, the designer behind the contemporary label Single. I love a good theme and was immediately taken by the Russian tea party idea, so how could I resist? 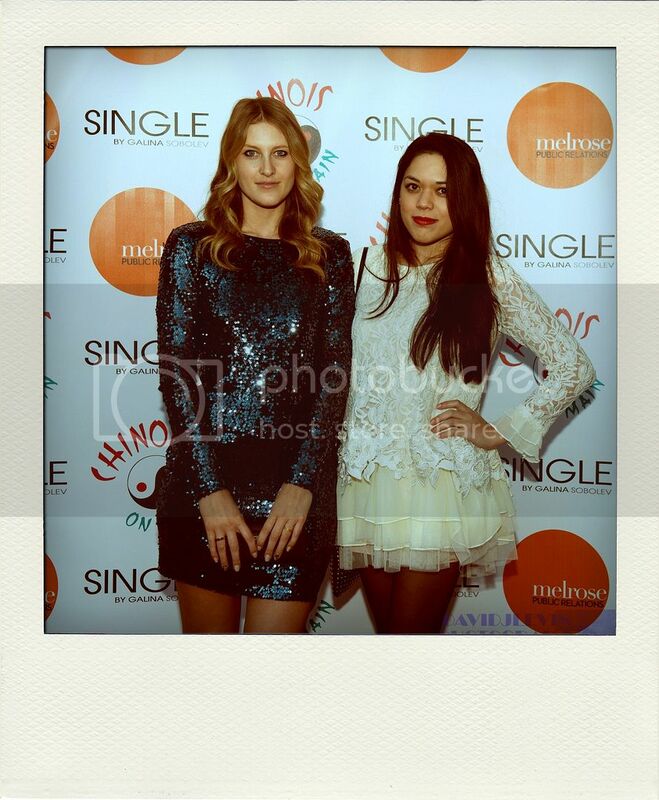 I, along with other fashion bloggers and industry folk, was invited to preview Single's Fall/Winter collection. I much prefer these smaller events (especially ones with a breathtaking view and amazing food!) because they're more relaxed and it's easier to mingle with people. We enjoyed decadent treats and delicious tea, previewed a jewelry collection by Russian designer Yart, and even got filmed a little bit for a small segment that was featured on ABC's Shark Tank for PurseCase (I was geeking out over this. You can't see me in it at all, but still. I was still excited). Single's designs are modern and sophisticated with body-skimming silhouettes and sleek lines. The fall/winter pieces consisted of classic black dresses with pops of color, feminine lace trim, and edgy shoulder details like studs and chains. The dresses are so flattering and perfect for the modern woman. It was one of my favorite events for 2013. You can view more photos on Facebook. Outfit details and photos in the next post!